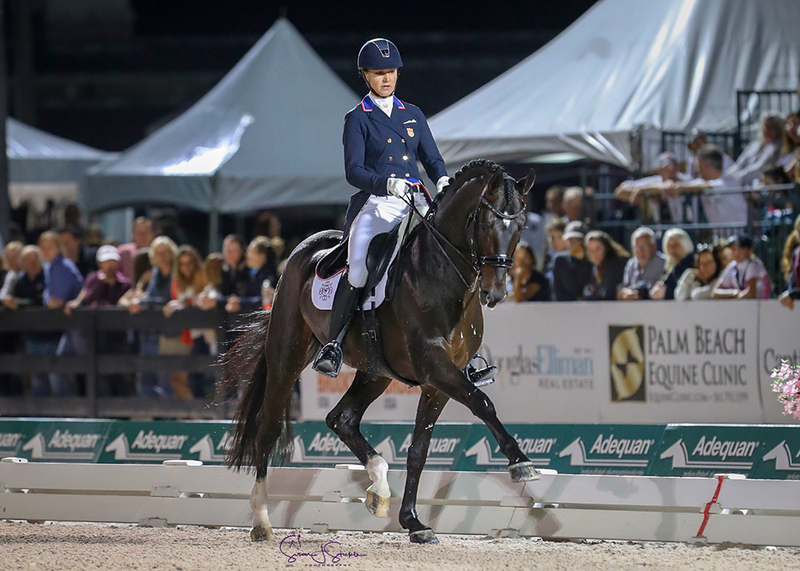 Deirdre Sullivan for Jennifer Wood Media, Inc.
Wellington, FL – February 8, 2019 – The crowd at the “Friday Night Stars” at the Adequan® Global Dressage Festival (AGDF) enjoyed performances by top riders in the FEI Grand Prix Special and FEI Grand Prix Freestyle CDI5* on Friday, February 8, at Equestrian Village at the Palm Beach International Equestrian Center in Wellington, FL. 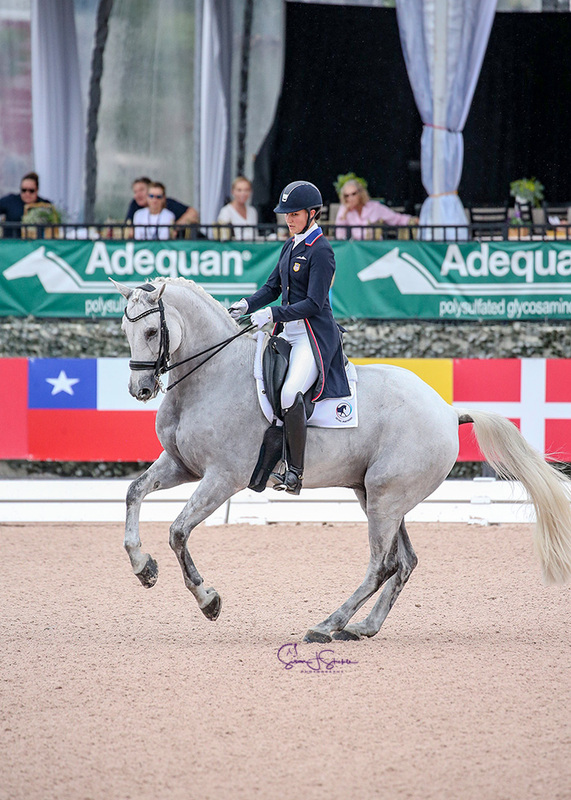 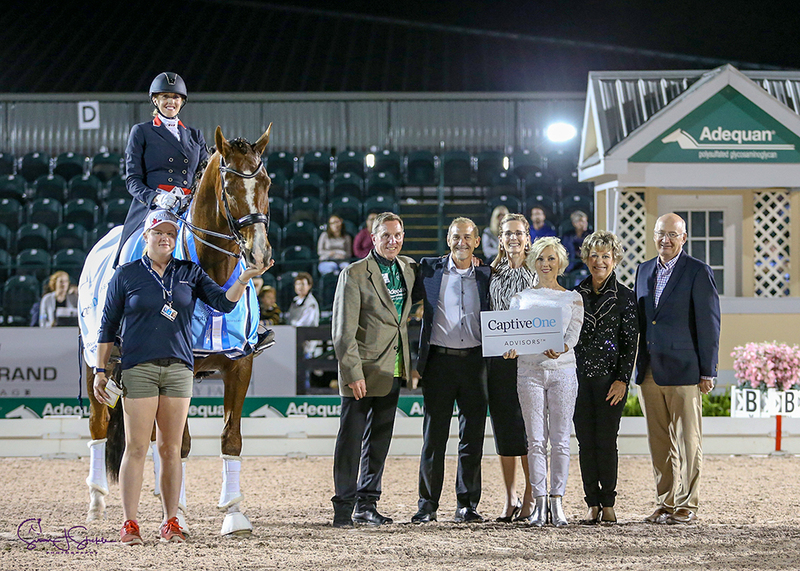 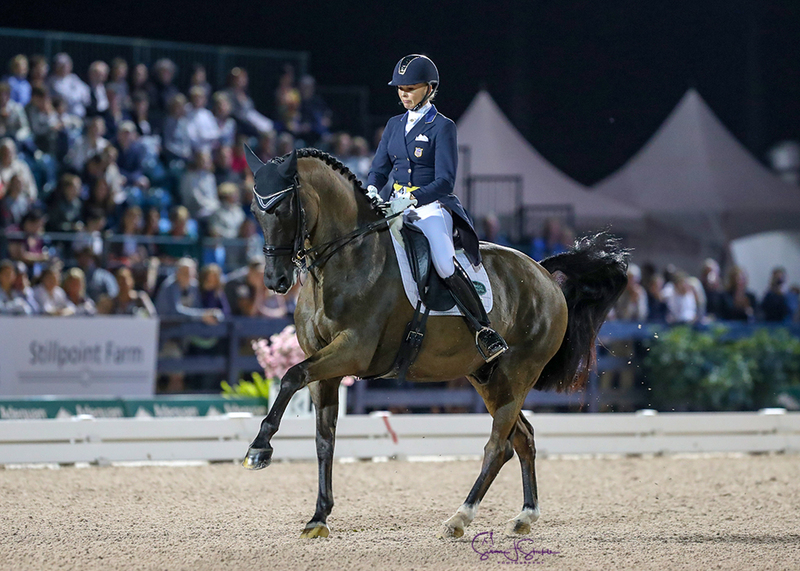 Brittany Fraser-Beaulieu (CAN) and All In, her 14-year-old KWPN gelding by Tango, won the FEI Grand Prix Freestyle CDI5*, presented by CaptiveOne Advisors, with a score of 76.520%. 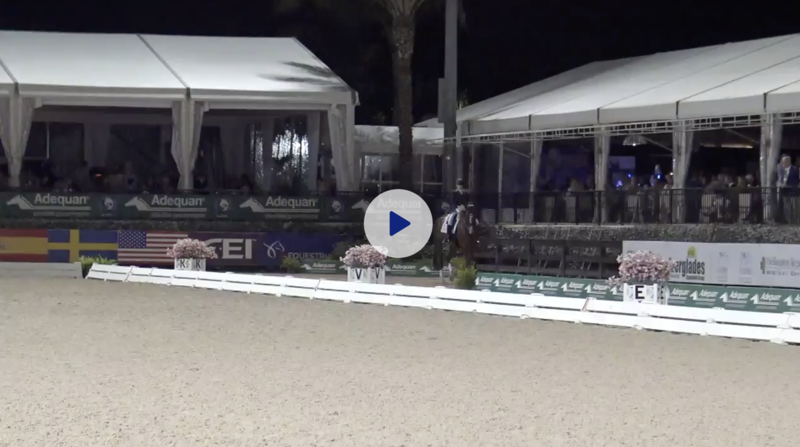 Click here to watch the winning ride in the Freestyle. 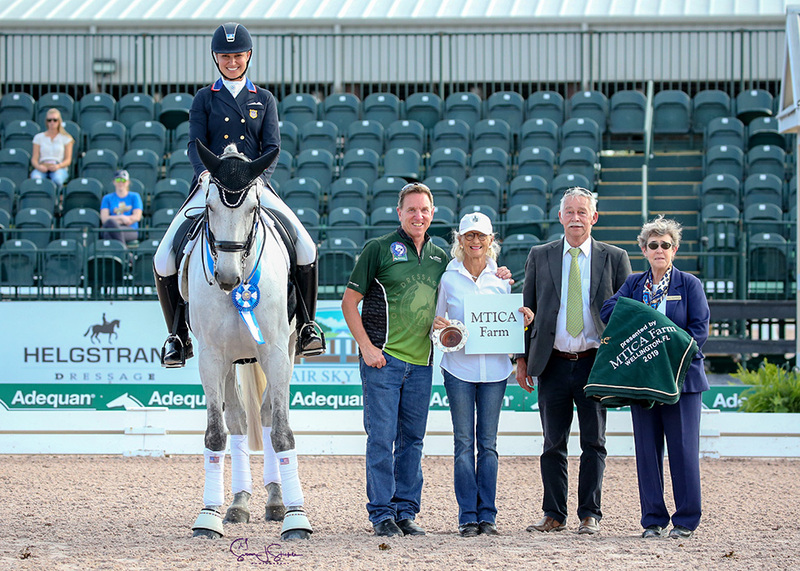 Adrienne Lyle was also victorious with Harmony’s Duval in the FEI Grand Prix CDI3*, presented by MTICA Farm. 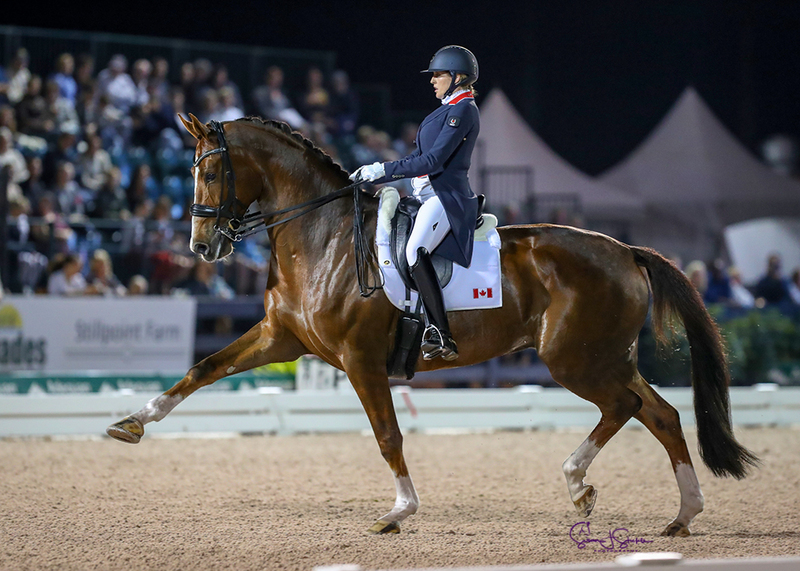 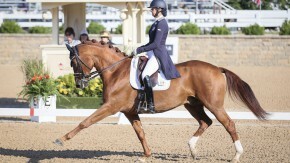 Jill Irving (CAN) and Arthur, her 14-year-old KWPN gelding by Jazz, came in second place with a score of 68.891%. 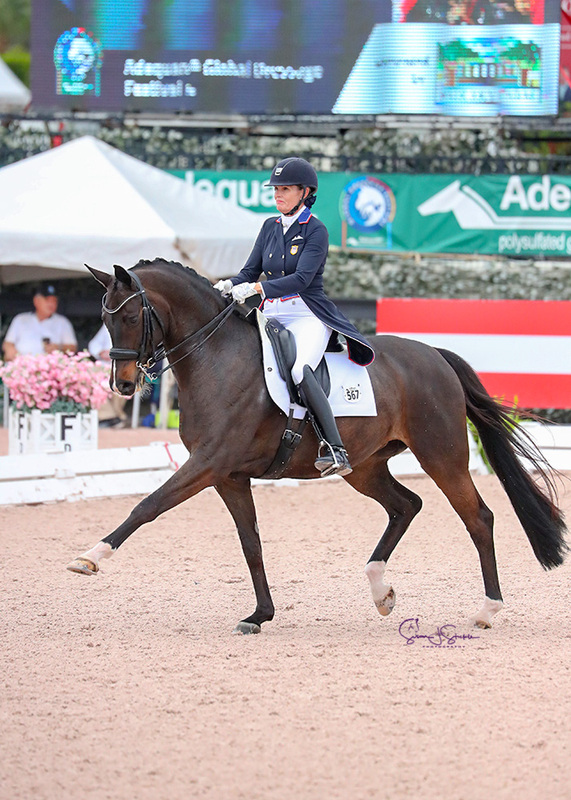 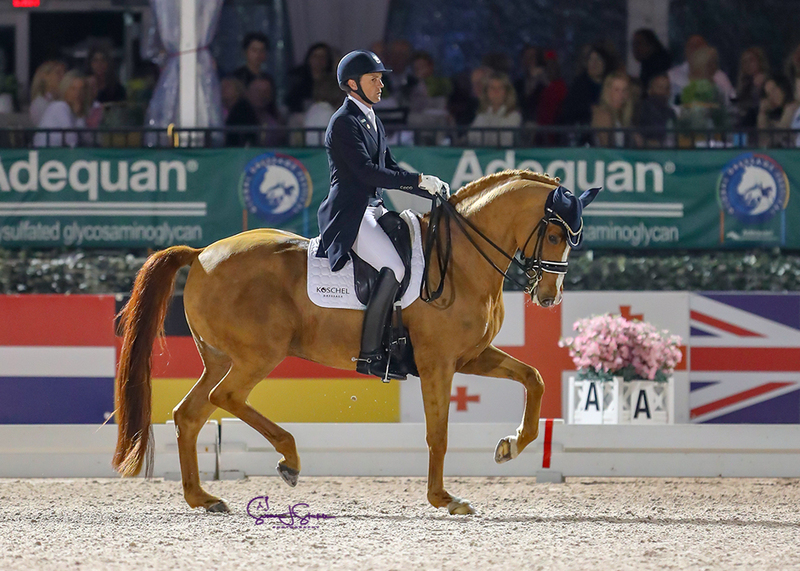 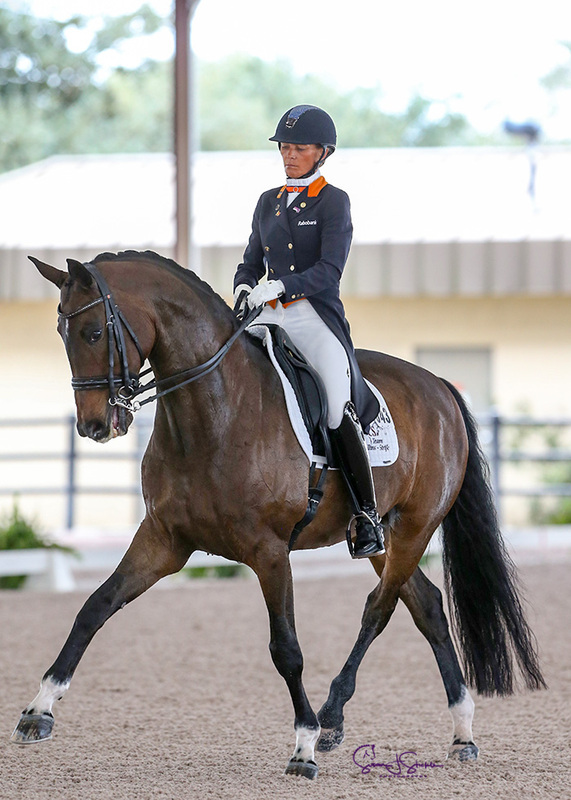 Susan Pape (GBR) and Harmony’s Don Noblesse, a 12-year-old Hanoverian stallion by Dancier owned by Harmony Sporthorses, earned a score of 68.896% to come in third place. 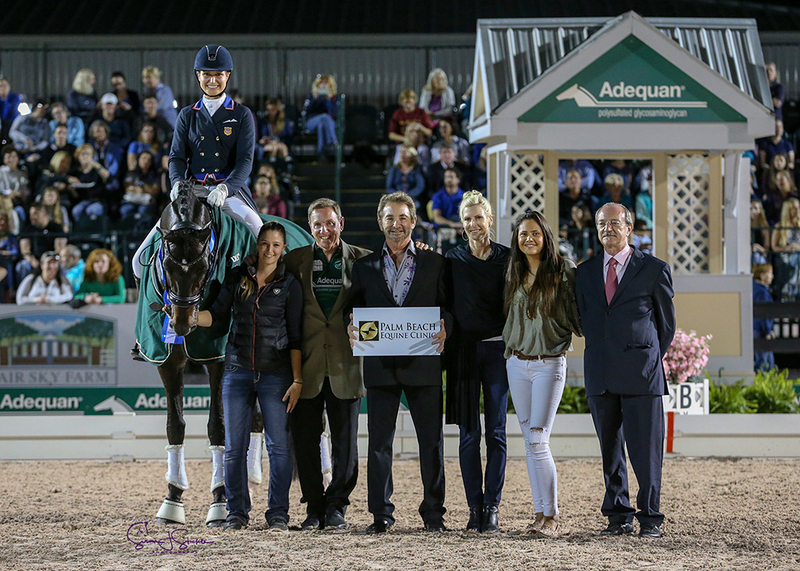 Adrienne Lyle in her winning presentation with Allyn Mann of Adequan, Janne Rumbough of MTICA Farm, judge Stephen Clarke, and FEI Chief Steward Lisa Goretta.